Precise one hour delivery time slot! 1. 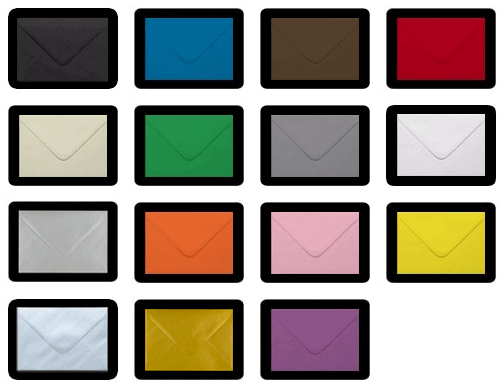 Buy your envelopes. 2. Enter your mobile number and email address at checkout. 3. You will receive an email or text with your drivers name and one hour delivery slot. 4. Respond to email or text to rearrange delivery to suit you. Track Your Order Once you have placed your order with us it will appear in 'My Orders' in your account. The list contains a tracking number for each order you have placed once it has been dispatched from our warehouse. You can either click on the green tracking number and view a list of recent events regarding your order or you can copy the tracking code and visit the DPD website for the ability to 'follow your parcel'. Combined orders placed over more than one site do not qualify for free delivery. All parcels are dispatched via our courier, DPD. 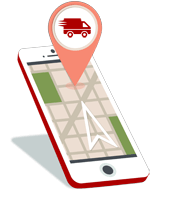 This is a trackable service which will require a signature upon delivery. Please ensure that there will be someone at your given delivery address to accept and sign for the parcel. No exceptions will be made on this. Contact us for more details. We can only dispatch to a full postal address. No PO Boxes or Mail Boxes please. For customers who select one of the timed services your order must be placed before 15.00 on a working day to qualify for this service. These services are not available in some remote areas of the UK and the Isle of Wight. A member of our sales team will contact you if the service does not apply. Orders placed on a weekend or bank holiday will be dispatched the next working day. Please note that delivery to the following postcodes will vary between 2 - 5 days. Express services are unavailable. * The following postcodes are also excluded from the free delivery offer on orders over £75.00 (ex VAT) due to remote locations and carrier charges beyond our control. 2,500 DPD Pickup shops in the UK, with a DPD Pickup point within 10 minutes’ drive of 93% of the UK population and 5 minutes’ walk within Central London. Simply select DPD Pickup as your delivery option at checkout and your order will be delivered by 12 noon Next Day once your order has left our warehouse, and stay in store for up to 7 days so you can collect at a time to suit you. You’ll be notified by email / SMS when your parcel is ready to collect, and all you need to do to pick up your parcel is take your Pickup Pass and photo ID. Note - delivered Monday - Saturday to shop. Your local DPD Pickup shop will have this logo in the shop window. You can watch this video below to see how it works. Please note that prices are for parcels up to 30kg. Delivery times above are based on working days from the time of dispatch and are an estimated shipping time. We do not deliver to the Canary islands. 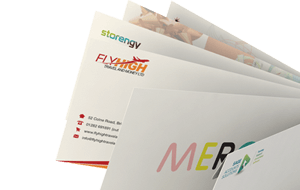 For delivery prices for countries not listed on this page you can contact us at sales@ideal-envelopes.co.uk for a quote.